*** 1960 Chris-Craft 35 Steel Roamer!! **** COMPLETELY RESTORED...UPDATED and READY FOR NEW OWNER! Photos and info were given by the seller. A rep has NOT been on board of this vessel. It is suggested that with any purchase, you do a complete inspection with a certified surveyor and/or mechanic. Stock #146343 READY TO GO! ROOMY! Completely restored everything!!! Perfect condition!!! all new electronics AND MUCH MORE INCLUDED!!! If you are in the market for an antique and classic boat, look no further than this 1960 Chris-Craft 35 Roamer, just reduced to $44,000 (offers encouraged). 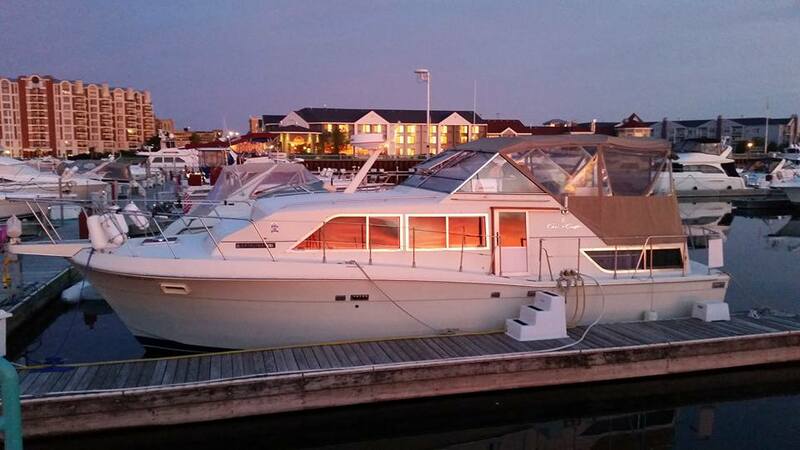 This vessel is located in Sturgeon Bay, Wisconsin and is in great condition. She is also equipped with twin Crusader engines that have 510 hours. Reason for selling is doesn't want 2 boats!. Sellers states boat is in good overall condition. 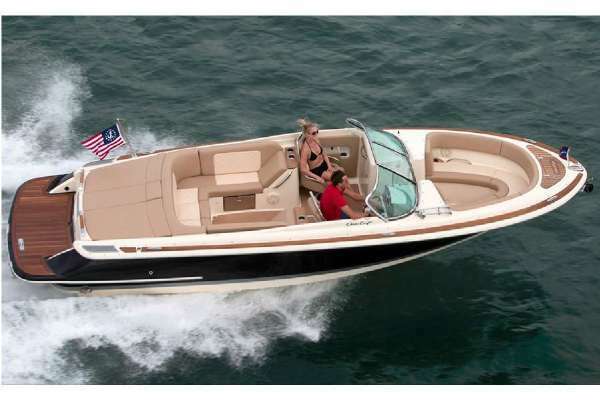 At this point, he has an additional engine that can be used in this boat that is included in the sale price. This boat needs a battery and has the original 6-volt electrical system... The trailer is definitely included in the sale as shown in photo. The trailer is dual axle, surge brake, custom made, roadworthy, well suited for this boat. This is a perfect boat for somebody interested in building up an Antique Showpiece, this is NOT a pattern boat. 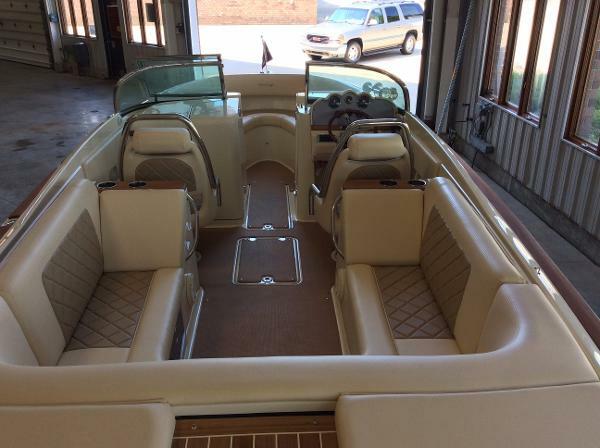 The boat is winterized and stored but available to interested and qualified buyers. Delivery might also be available. 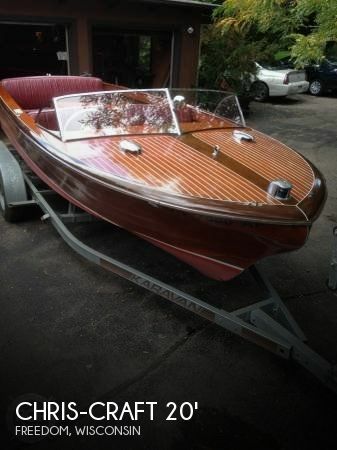 Stock #160983 1929 CHRIS CRAFT ANTIQUE WOOD RUNABOUT #3 GREAT CONDITION ,TRAILER INCLUDED IN SALE If you are in the market for an antique and classic boat, look no further than this 1929 Chris-Craft 3-Triple, just reduced to $48,950 (offers encouraged). 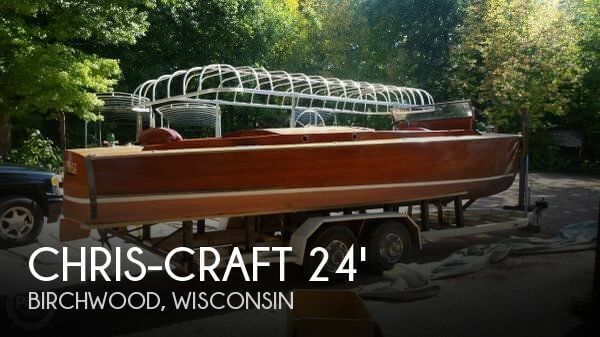 This boat is located in Birchwood, Wisconsin and is in great condition. She is also equipped with a Chrysler engine. Reason for selling is he has 2 of these. This 1972 Chris Craft Commander had a new long block installed in 2015. Seller has all the paperwork on these engines, as well as maintenance records going back to original manuals. 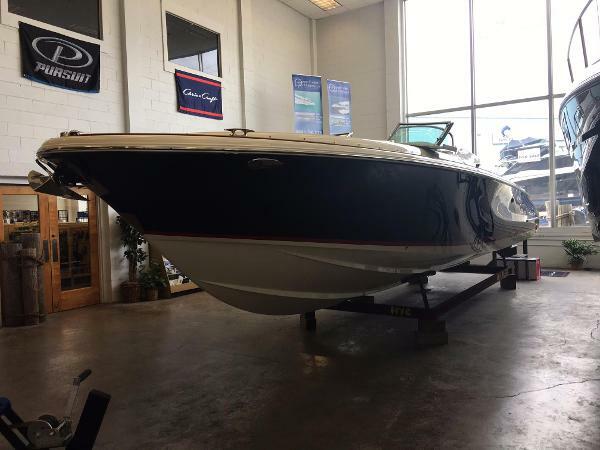 All regular maintenance and proper winterization have been done to keep this boat in great shape per the sellers. Stock #154769 2015 Long blocks installed LOW LOW Hours, 3 Control stations, your Floating Weekend Fishing Camp! 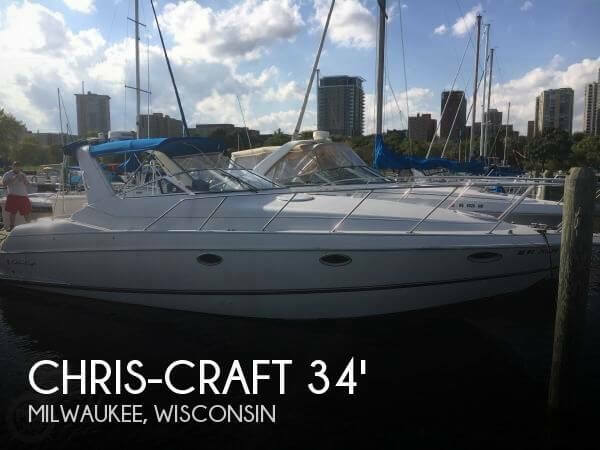 If you are in the market for a sportfish/convertible boat, look no further than this 1972 Chris-Craft Commander 31, just reduced to $25,750 (offers encouraged). This boat is located in Ashland, Wisconsin and is in great condition. She is also equipped with twin Chris-Craft engines that have only 40 hours. Reason for selling is not enough use. Current Owner Says His 1966 CHRIS-CRAFT CONSTELLATION HARD TOP Is In "Good Overall Condition" As Received From the Current Owner; -Engines Start Fast, Excellent Running Engines Only "567" Hours On Them - Fresh! as of 8/8/17: only the SB engine is in the boat. The owner has another engine, (same, Chris-Craft 210 HP) for the port side. 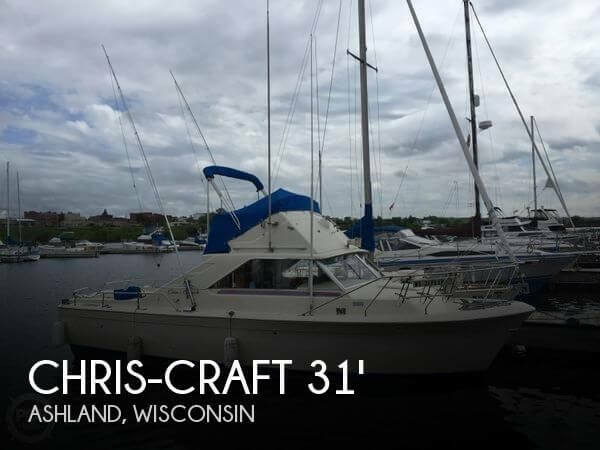 -***Original And Reliable Chris Craft 327f Engines*** -Transmissions Shift Perfect -Nice Boat, 150 Mile Trip & Only Used 1/2 Quart Of Engine Oil -Fresh Maintenance & In Good Running Condition -Fresh Bottom & Top Sides Paint With An Attractive Red Stripe -The Wood Is Good! 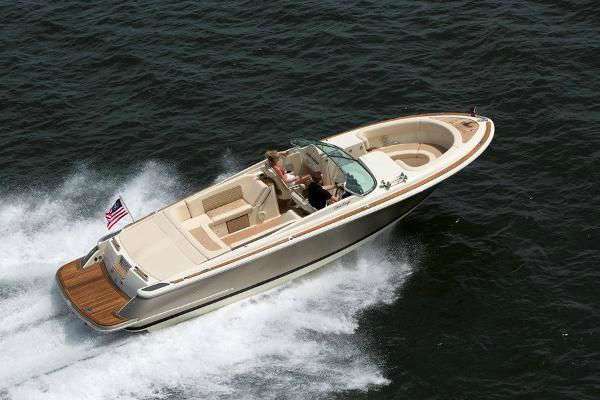 -The Hardware On The Boat Is In Great Shape -No Canvas - The Top Is All Wood & Fiberglass For A Long Boating Season -New Bottom Paint & Top Sides Interlux Paint System, 3 Coats Primer, 2 Coats Paint. (2015) -Headliner is in "Excellent Condition" -1000 Watt AC Power Inverter for 120 Volt Power, While Running Power Outlets. Runs The Refrigerator & Kitchen Appliances -200-Watt Solar Panels & 2-Battery Charge Controller Keeps The Batteries Up Without The Use Of Shore Power -Interior Is In Near Stock Condition, (Un-Modified) & super Clean...!! -ALL SYSTEM ARE FUNCTIONAL EXCEPT THE AUTOPILOT. Owner Has Refinished Cabin Doors. (See Photo Added Feb 2016) Say's They Are Looking Swell...!! New Custom Made v-berth Cushions 2016 (See photo) New Everlasting Faux Teak Swim Platform 2017 (See Photo) ***I Have Not Inspected This Vessel In Person, The Pictures & Details Have Been Provided By Owner. Please Do Not Hesitate To Contact Me With Any Specific Questions You May Have That Are Not Covered In The Listing*** Stock #091225 Beautiful, Original Connie In Great Shape! New 2016 Custom Made Bow Cushions If you are in the market for an antique and classic boat, look no further than this 1966 Chris-Craft Constellation Hard Top, just reduced to $23,000 (offers encouraged). 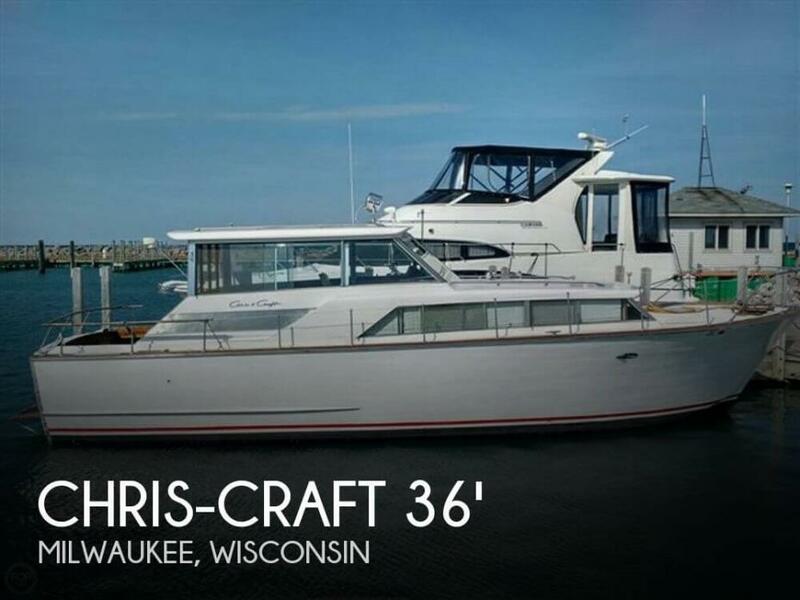 This vessel is located in Milwaukee, Wisconsin and is in great condition. She is also equipped with twin Chris-Craft engines that have 567 hours. The 1967 Chris Craft Sea Skiff 32 is in average condition but can be brought up to even better standards with some simple TLC. The boat has been stored inside for almost ten years but this Classic shows very well. The replacement engines have low hours and are in good condition. Hull is in average condition and would require some additional work. But this is Vessel that has a lot of years remaining on its Hull and Engines. Stock #110024 Magnificent Condition! Newer Twin 350cid Chevrolet Engines! Fly Bridge! 1000 Watt Stereo! If you are in the market for an express cruiser, look no further than this 1967 Chris-Craft Sea Skiff 32 Sports Cruiser, priced right at $48,900 (offers encouraged). This vessel is located in Walworth, Wisconsin and is in decent condition. 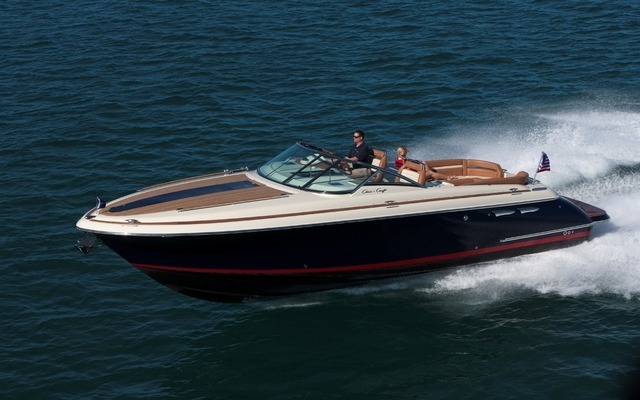 She is also equipped with twin Chris-Craft engines that have 300 hours. Reason for selling is no room to store the boat!. All maintenance up to date and she is ready for the water! The cushions are in great shape, and the deck, rails, enclosures, and cockpit are all in great shape. Only one hinge needs to be replaced on a simple storage door! Stock #147277 Excellent condition Crowne 322! Includes all electronics! Many new upgrades! Loaded and ready to cruise! 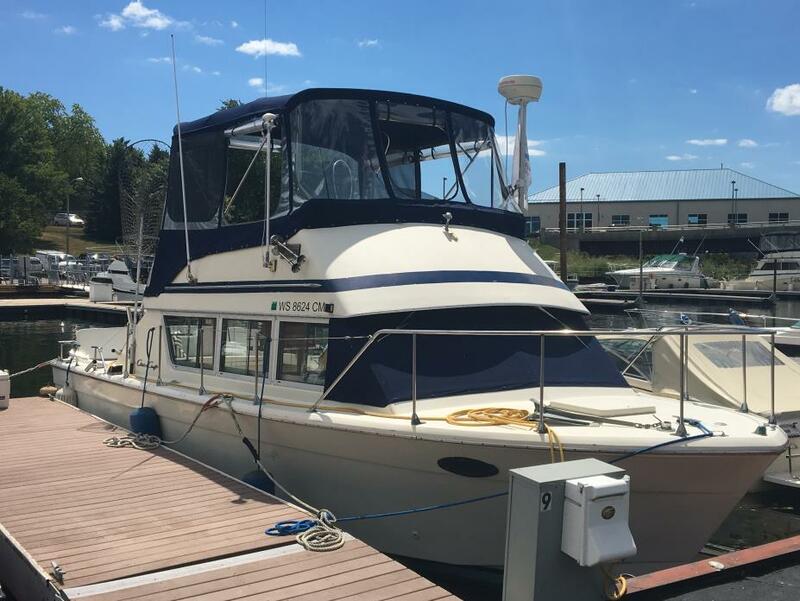 If you are in the market for an express cruiser, look no further than this 1994 Chris-Craft Crowne 322, just reduced to $27,900 (offers encouraged). This vessel is located in Milwaukee, Wisconsin and is in good condition. She is also equipped with twin OMC engines that have 750 hours. Reason for selling is boat is too large for new lake home. 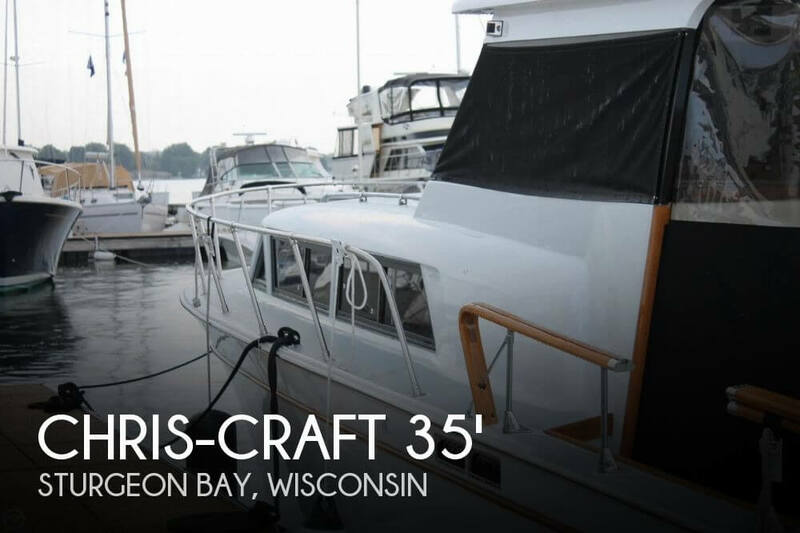 2017 Chris Craft 32 Launch See this "in-stock" Chris Craft 32 Launch in Milwaukee..... Step Up to the Ultimate. When you board the Launch 32, you immediately know this is not just any bowrider. Surrounded by the classic design and impeccable detailing, it invites you to settle in, collect your thoughts and make unforgettable memories with the entire family.